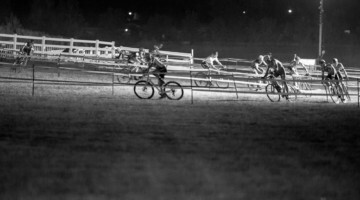 Cyclocross Magazine was in Sin City for the last Las Vegas edition of Interbike. 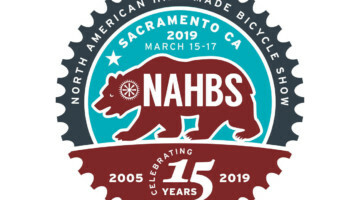 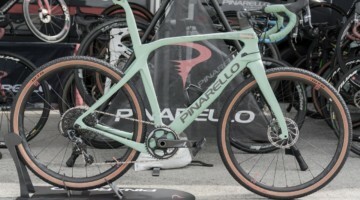 During the next few weeks, we will be highlighting some of the products we saw at the bike industry expo that we think are of interest to our readers. 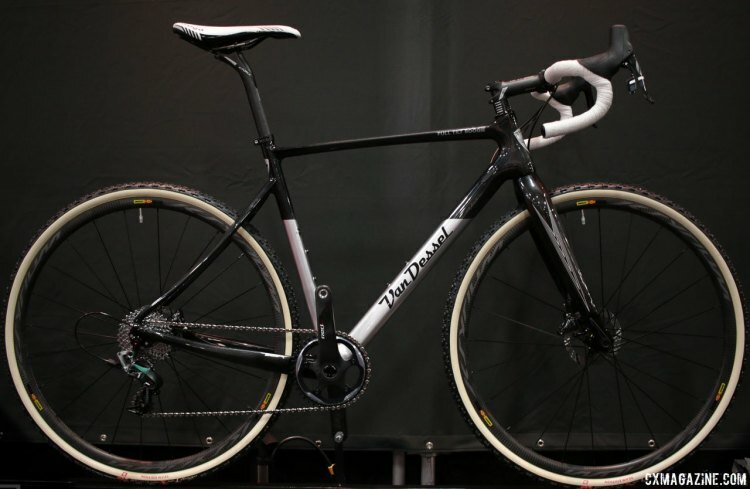 Today we look at some of Van Dessel’s 2018 off-road models. 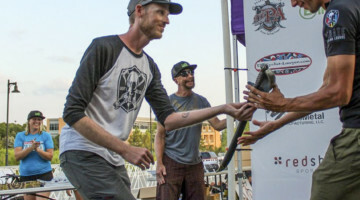 The Full Tilt Boogie adds Mavic Speed Release, the Country Road Bob unretires, the A.D.D. 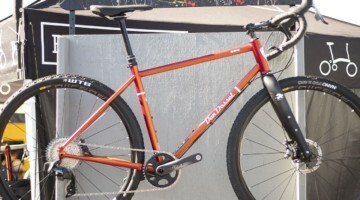 returns again and a limited WTF handlebar bag comes with limited edition 853 steel WTF frameset. 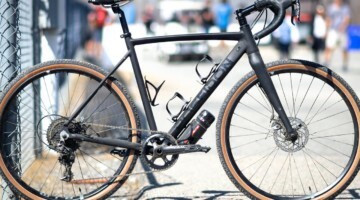 Van Dessel’s workhorse cyclocross bike is the carbon Full Tilt Boogie. 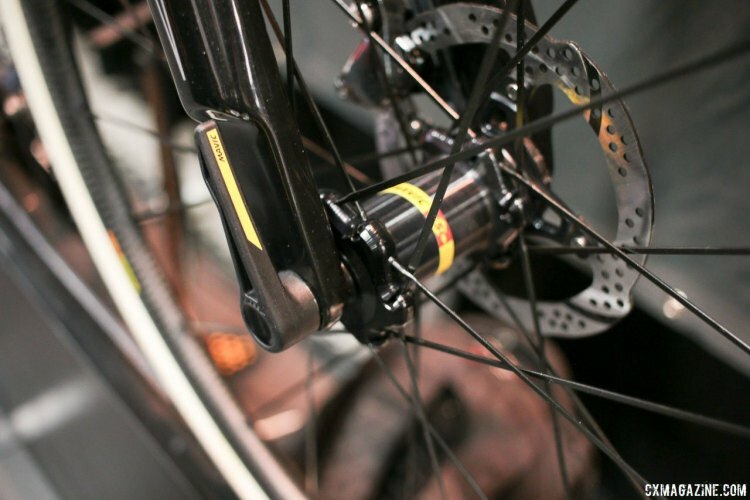 The biggest changes to the Full Tilt Boogie come from the company embracing Mavic’s Speed Release thru-axle system for its off-road disc bikes. The fork and rear dropouts have been updated to fit the new system. 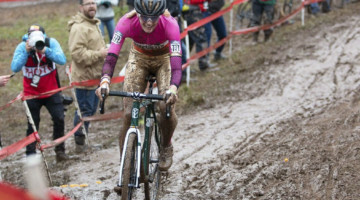 Van Dessel is also following the trend of using flat-mount disc brake mounts on its cyclocross bikes. 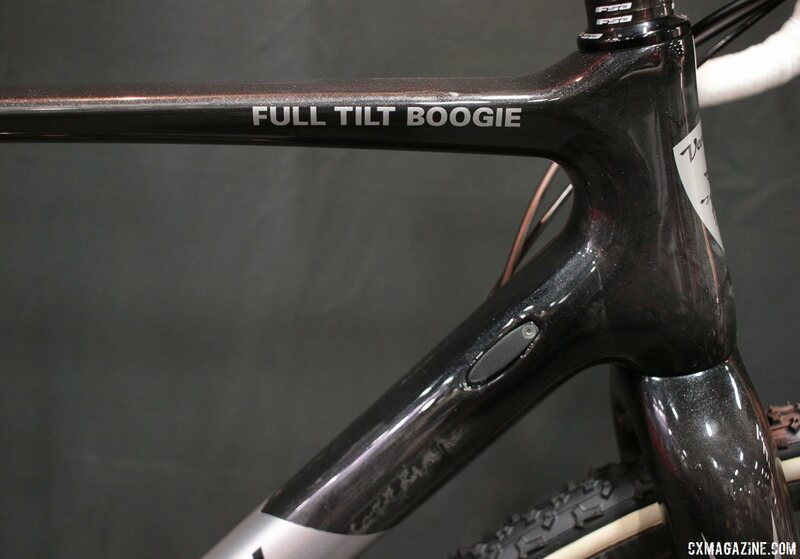 Aesthetically, the Full Tilt Boogie has been given a neutral metallic glitter finish with silver accent makeover. 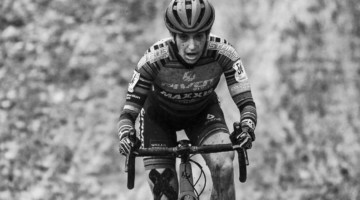 Caroline Mani, Cassie Maximenko and Sunny Gilbert can all be seen riding the new frame—albeit without the updated dropouts—on UCI weekends in the U.S. as members of the Van Dessel Factory Racing team, so it has been put through the paces as a high-level cyclocross bike already this season. 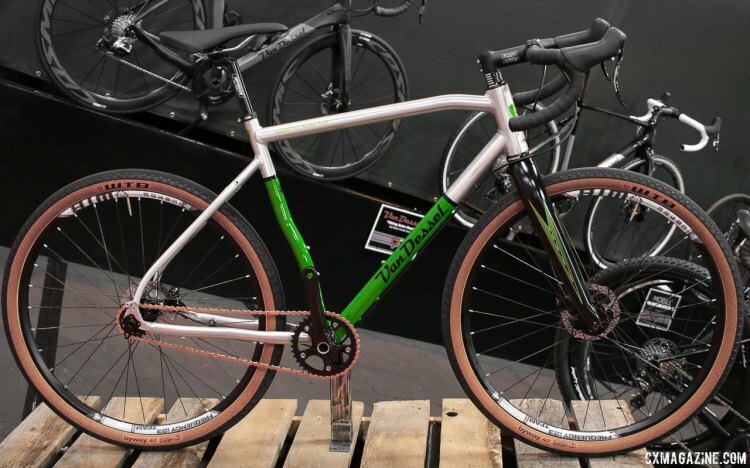 Vintage is in these days, and in that spirit, Van Dessel is bringing the iconic Country Road Bob gravel/adventure bike back. Originally produced from 1999 to 2005, the Country Road Bob was one of Van Dessel’s first models and one of the earliest production singlespeed cyclocross bikes. 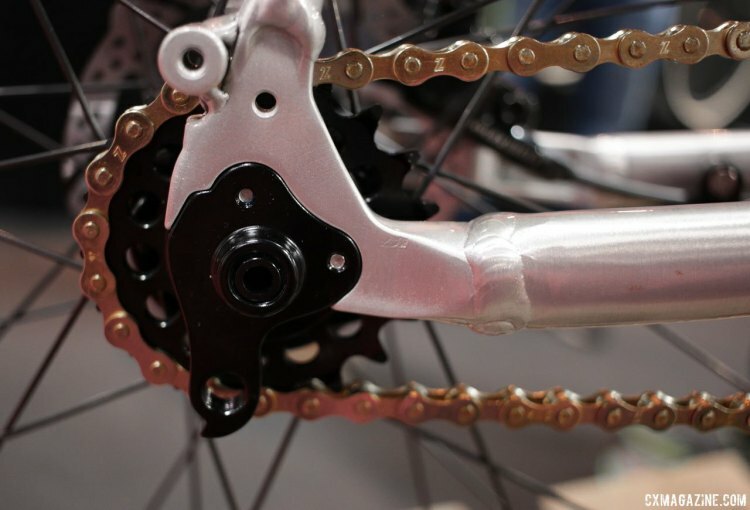 The CRB has been appropriately modernized to reflect changes in bike design since it was last seen in 2005. 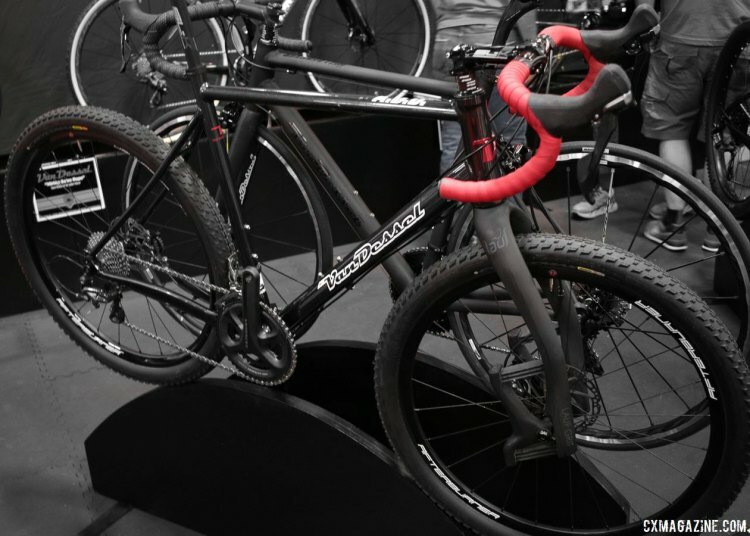 The new model features flat-mount disc brakes and thru-axles and the same carbon fork as the Full Tilt Boogie. 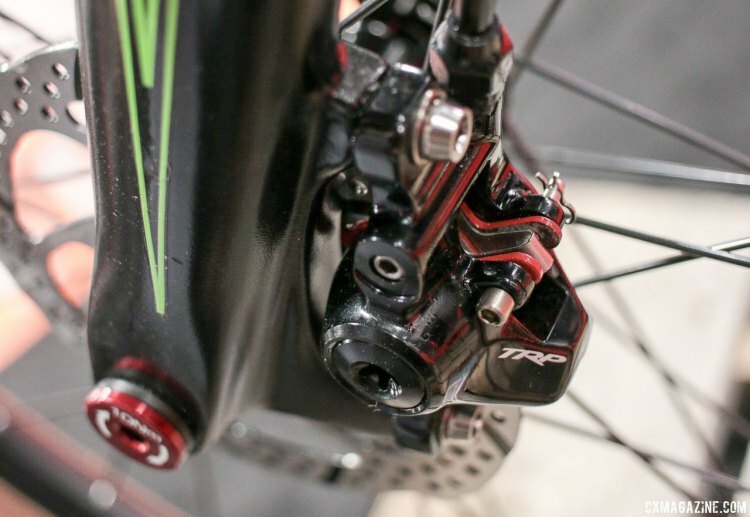 The disc brakes are TRP’s updated Hylex RS hydraulic brakes with drilled-out levers. 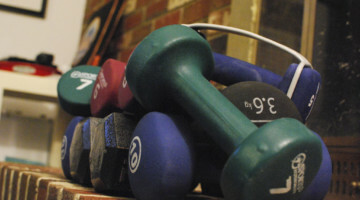 The new design features a green Scotch-Brite finish. 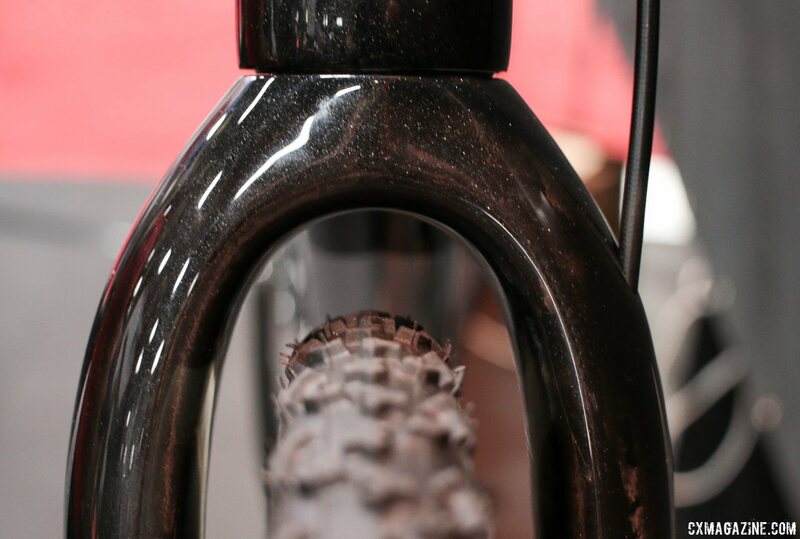 The Country Road Bob comes ready for both 650b and 700c wheels. The stock bike comes equipped with 47mm WTB Byway tires, signaling its preferred rough-road habitat. 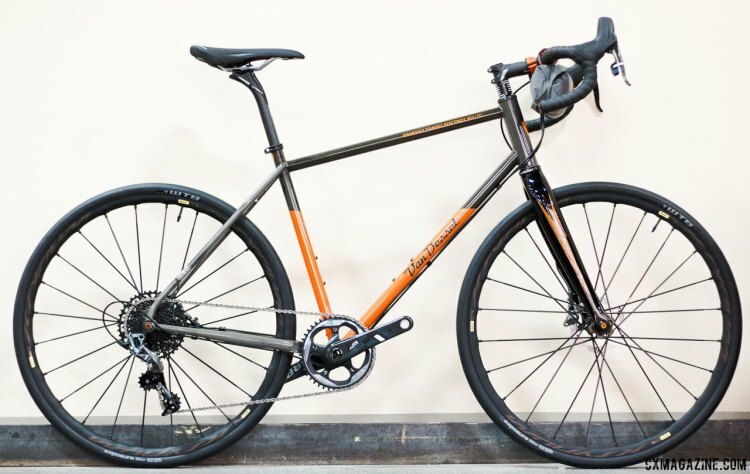 The complete CRB build has an MSRP of $1,500, although the WTB wheels it comes with are different than those we saw at Interbike. 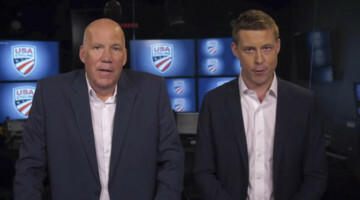 The A.D.D. 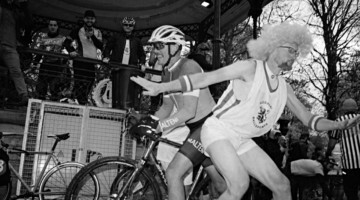 was a successor to the original Country Road Bob. 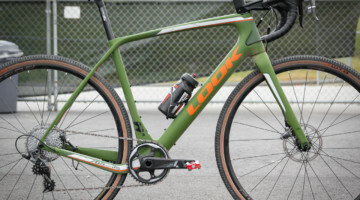 It is back again as a popular do-it-all bike with cyclocross geometry and dual-diameter wheel capacity. 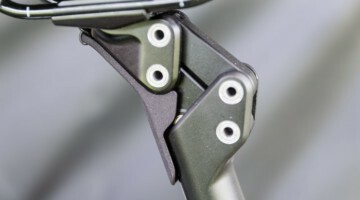 Lauf forks are an optional addition to the front to add extra cushion. 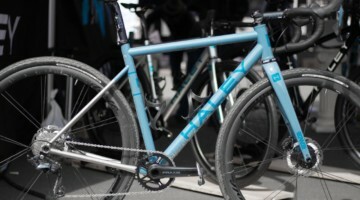 The new Whiskey Tango Foxtrot 853 LTD is a lighter higher-end take on the WTF. 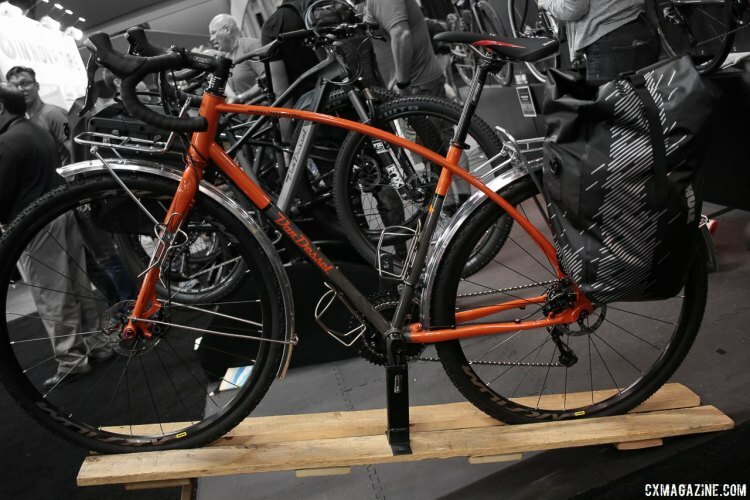 The Reynolds 853 steel and carbon fork shed several pounds from the original WTF. 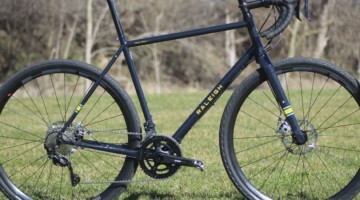 The frame’s seatstay is split for a belt drive and the bike has been given an eye-catching phosphate finish over the raw steel, which the company says lasts much longer than a clear coat. 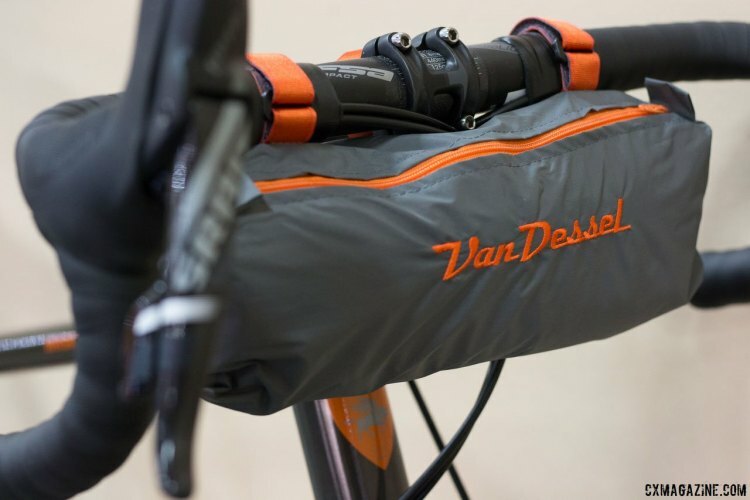 The WTF 853 LTD also comes with a limited edition Van Dessel handlebar bag. We asked Van Dessel owner Edwin Bull if the bad is available separately, and he said because supply is limited, it is available for $1,500 and comes with a free frameset (frame, carbon fork, headset). The classic, curvy WTF was also on display at Interbike. The demo bike was shown with a complete set of racks and fenders to highlight its do-it-all versatility. The 2018 WTF model has a 44mm head tube to accept modern carbon tapered steerer forks and save some weight. 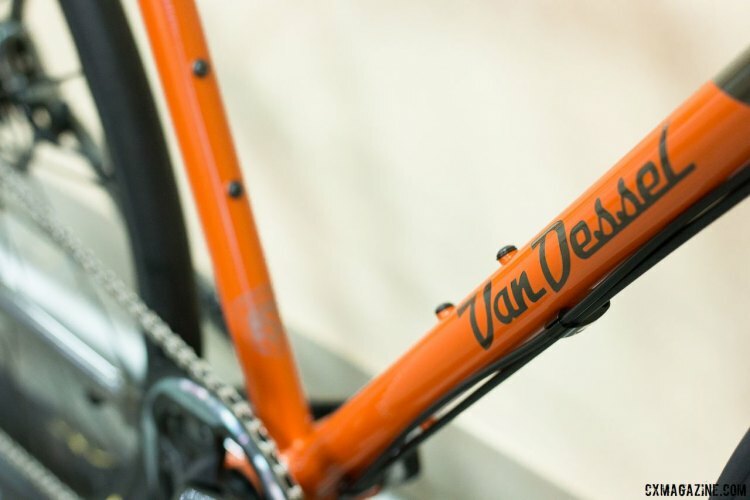 For more information on Van Dessel’s 2018 models visit vandesselcycles.com. 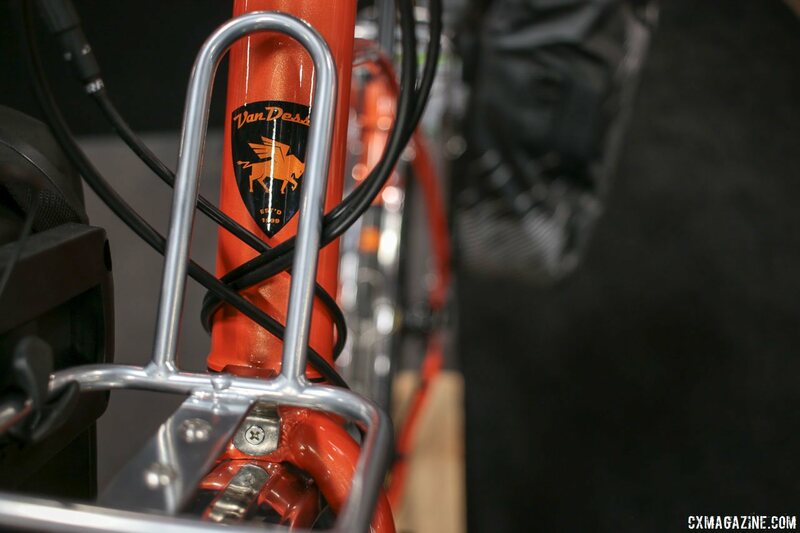 Stay tuned to Cyclocross Magazine for more from the 2017 Interbike show. 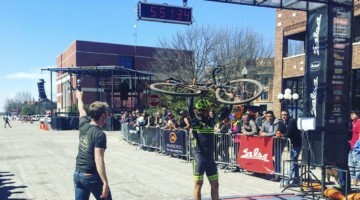 These people get adventures bikes. 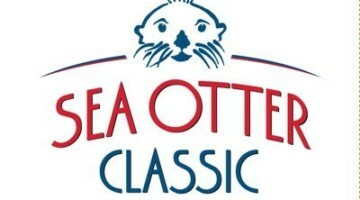 I like whst they did there.